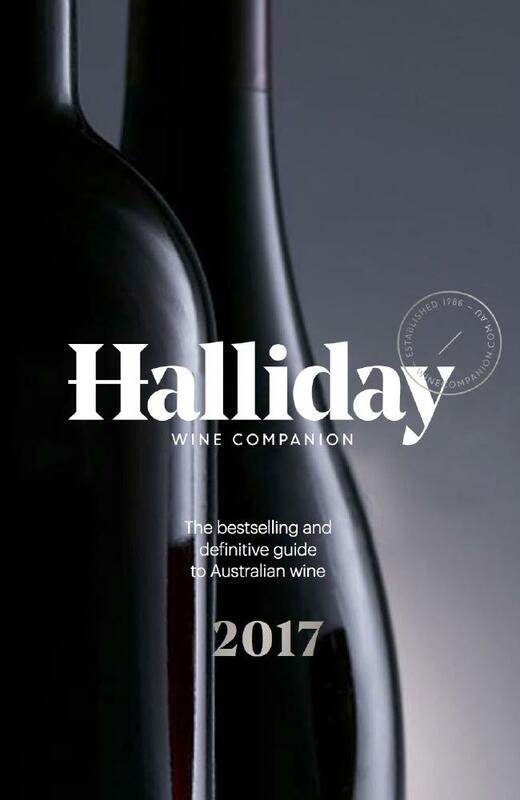 James Halliday, in his 2017 Halliday Wine Companion, has elevated Erin Eyes to a 5 Red Star Winery for the first time since Steve’s Neagles Rock days. 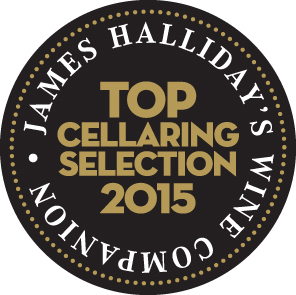 James’ definition is ‘Outstanding winery regularly producing wines of exemplary quality and typicity’. 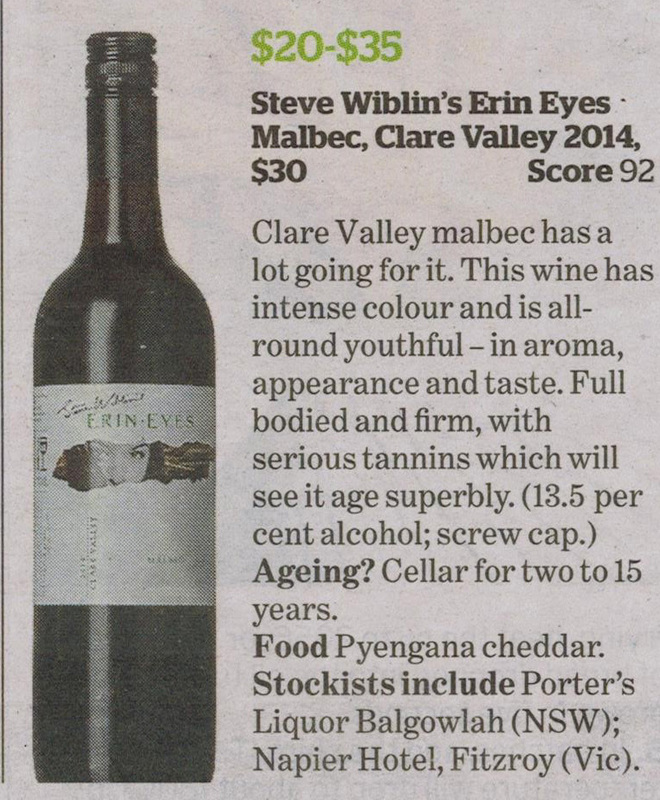 Huon Hooke, writer for the Wine Guide, has awarded Steve Wiblin’s Erin Eyes 2014 Malbec 92 Points. Steve Wiblin’s Erin Eyes ‘Celtic Heritage’ Cabernet Shiraz has been awarded 4 stars and 91 points from Huon Hooke. 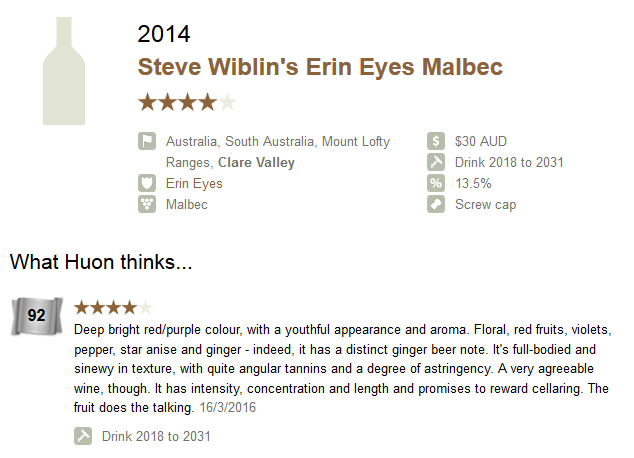 Taste’s national wine editor, Tony Love, reviews wine from around Australia and this week in The Source SA he has reviewed Steve Wiblin’s Erin Eyes Cabernet Malbec Merlot and given it 4.5 Stars which places it between ‘A cut above’ and ‘Top class’. 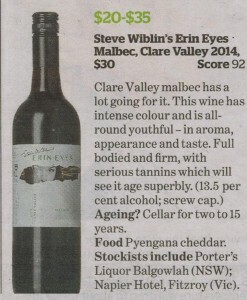 Good value at $30 a bottle and best with Lamb tagine. Perfect for this cooler weather we’re having. 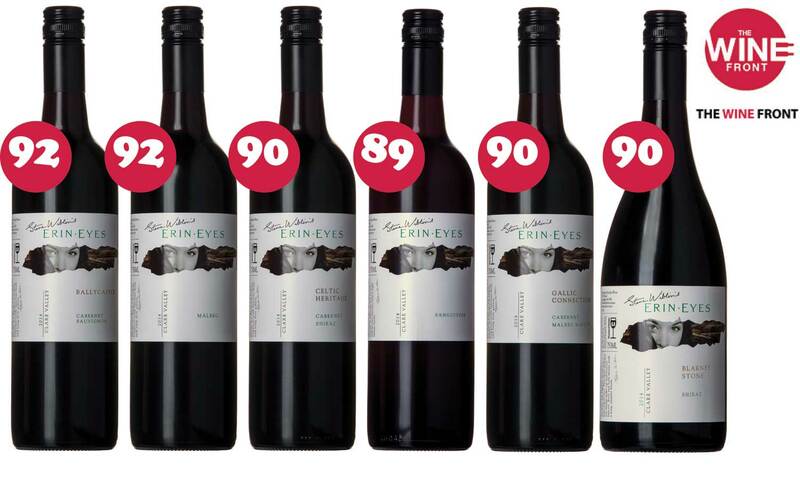 Another great score from Huon Hooke with the 2014 Malbec receiving 92 points. 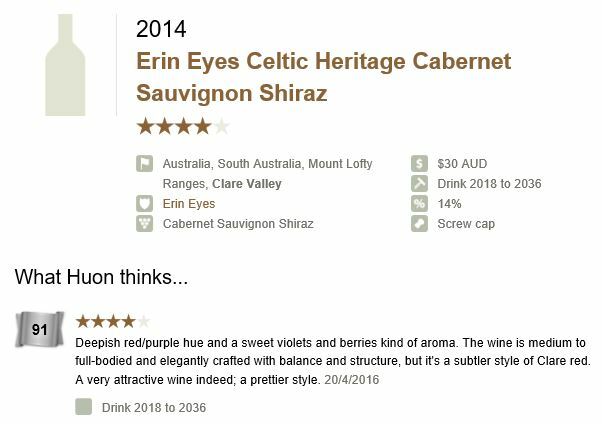 Huon has also given Erin Eyes an overall rating of 93 points! 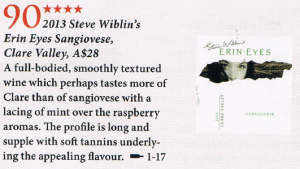 The June/July issue of Gourmet Traveller Magazine includes the 2013 Erin Eyes Sangiovese. 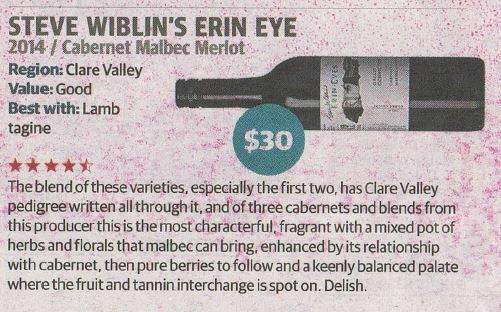 A full-bodied, smoothly textured wine which perhaps tastes more of Clare than of sangiovese with a lacing of mint over the raspberry aromas. The profile is long and supple with soft tannins underlying the appealing flavour. Issue #22 of James Halliday’s Wine Companion Magazine includes the 2013 Erin Eyes Clare Valley Shiraz. 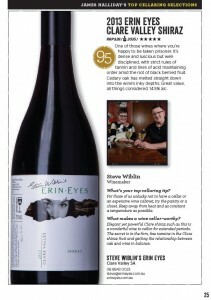 “One of those wines where you’re happy to be taken prisoner. It’s dense and luscious but well disciplined, with strict rules of tannin and lines of acid maintaining order amid the riot of black berried fruit.